Mount Carmel Attractions are open also in the winter, featuring “Festival in Boots” in December. 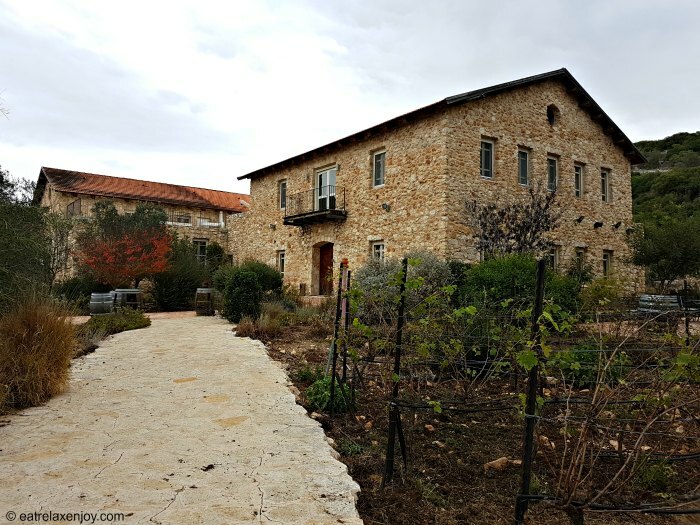 We headed to the Carmel on a rainy winter day to try and taste some of the Mount Carmel attractions that are nice in the summer and in the winter. 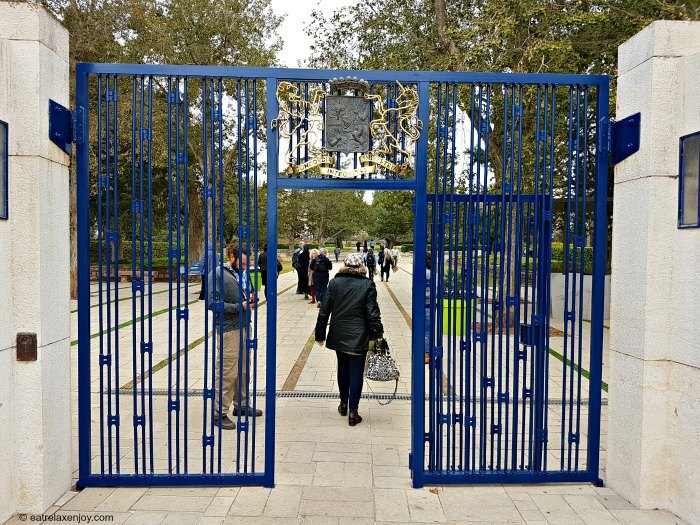 Ramat Hanadiv is a nature park spanning over 4500 acres hosting the memorial gardens where the Edmond de Rothschild is buried. Rothschild, who was a great supporter of Israel in the early settlement years, loved Israel, and was fascinated from the Carmel area. His son brought him to burial here, and established the nature park and gardens. 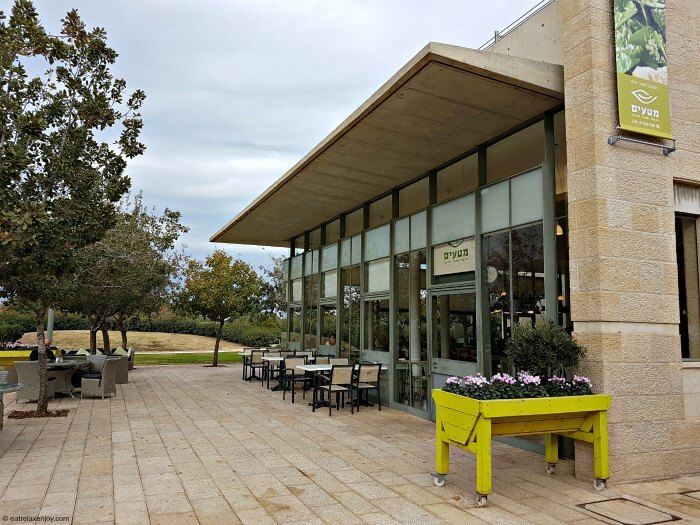 Ramat Hanadiv Park has many hiking trails and the gardens are a serene place with wonderful sea-view and many different areas – a rose garden, a herb garden, etc. The garden is accessible. There are many activities here, one of them is a free Tai Chi workshop held each Wednesday at 8am. 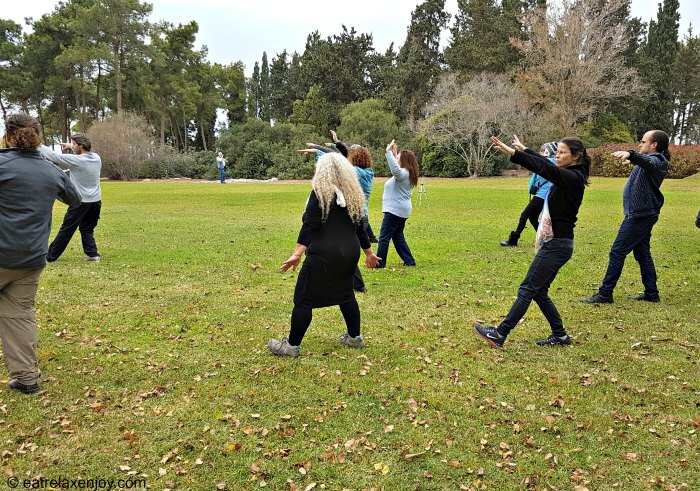 This workshop, as well as other activities and tours can be booked at Ramat Hanadiv office. There is also a free movie about the history of the Rothschild family and the park, which is available in Hebrew, English, Arabic, Russian, and French. The park store is open for souvenirs. 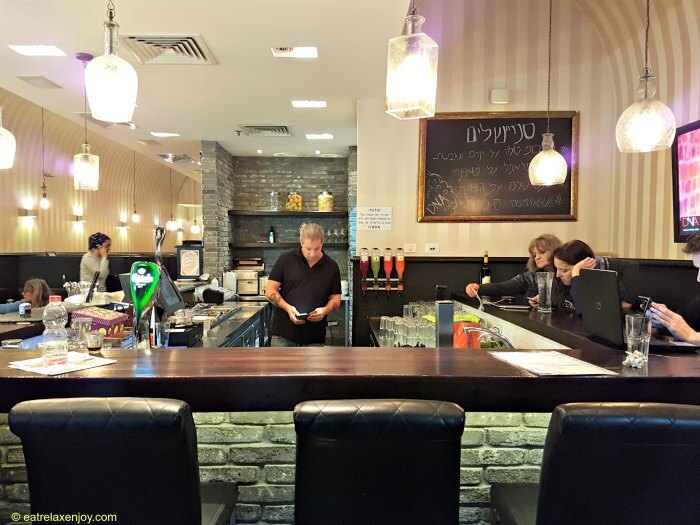 If you are hungry, eat at Mataim (Plantation), a kosher dairy restaurant with a social agenda. The spacious restaurant is located behind the information center and is overlooking a groomed playground, so that you can sit and eat while the children run around and play. The restaurant employs youth at risk and helps they stay out of the streets while teaching them the culinary business trade. We had a very good breakfast there. You might want to be aware that there are equipped convention rooms, an auditorium, and the restaurant offers event services. 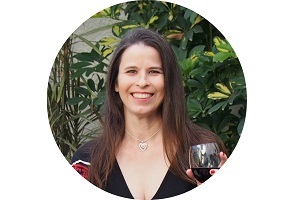 Havayat Harochvim (means Rider’s experience) is a horse riding and Tomcar tours ranch. It also offers camping services and other action attractions such as zip line, rappelling, and food services (the restaurant at the ranch is a steakhouse called Kat Ballou). 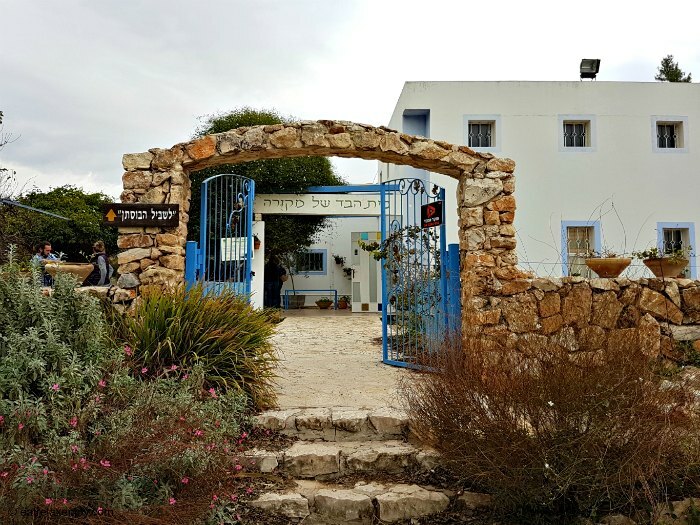 The ranch is located near Beit Oren, a place that was severely damaged in the big fire 6 years ago. 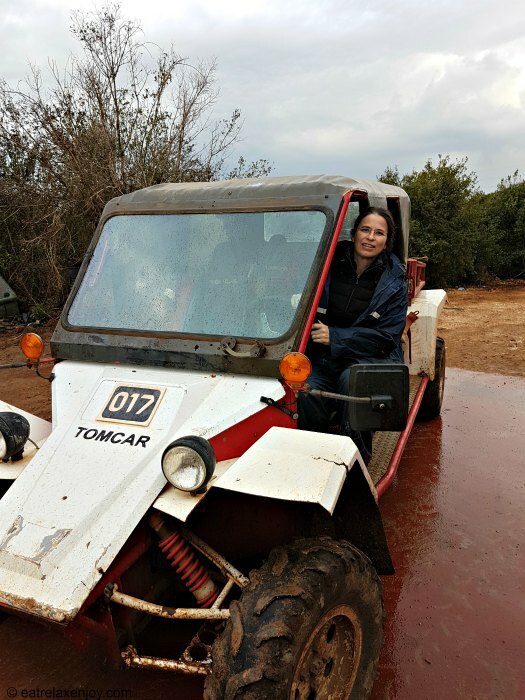 We joined a Tomcar ride to the Carmel forest. Dressed with special storm-suits given to us, we headed to the forest. The views are lovely, starting with a passion fruit plantation and ending with the view of Haifa from south. It was interesting to see the renewing forest, some young vegetation areas and some with bigger trees (that were not affected by the fire). Bustan (or garden of) Thom was established in the memory of Thom Farkash, a pilot in the Israeli air force who crashed during the Lebanon war. The garden is a place to learn about organic and sustainable agriculture. 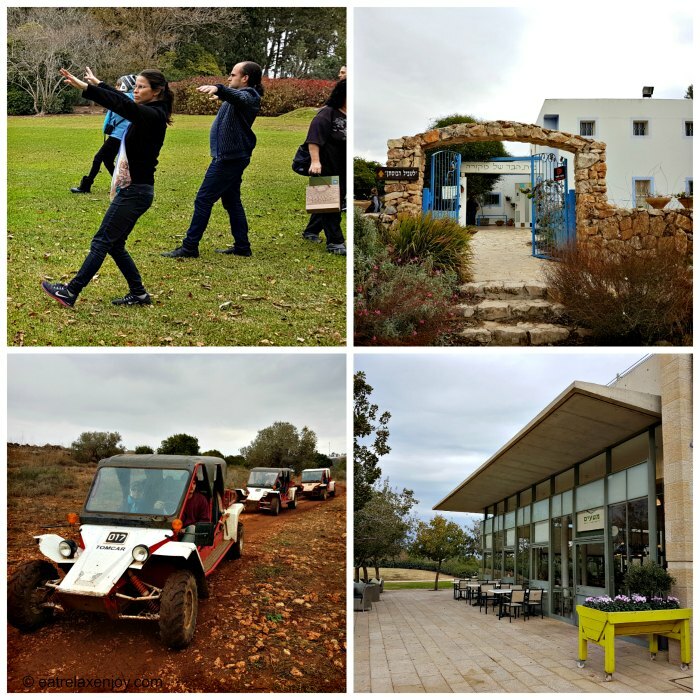 The garden is open freely and includes demonstrations of the principles of organic and sustainable agriculture, about recycling and about environmental responsibility. However, the signs are only in Hebrew. 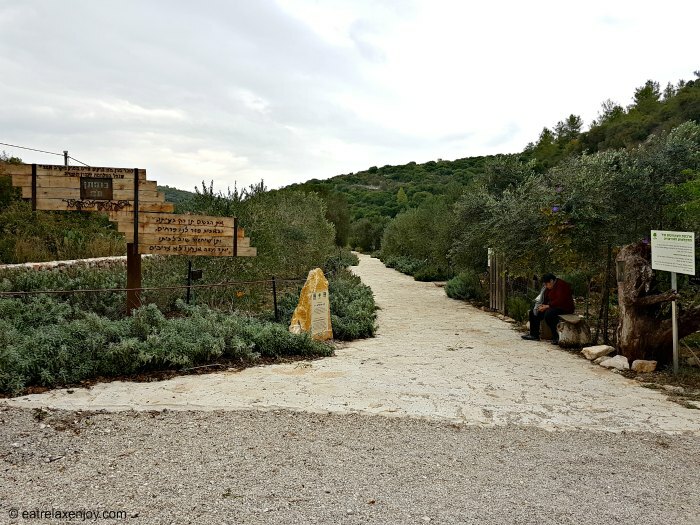 The garden has two additional interest points: the store and olive-press factory (at the entrance) in a Greek style building and the Amphorae Winery (on the back) in a Toscan style house, which can be visited too. Groups of more than 10 people can book guided tours by contacting: 054-6430605 bustanthom@gmail.com. There are many restaurants around Mount Carmel. We ate at DNA Restaurant at Yokneam. The restaurant is conveniently located on the main road just off road 6 and 70. 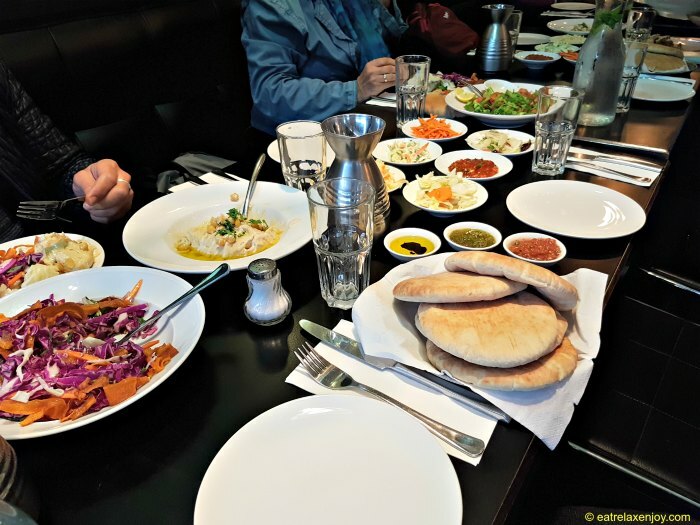 It is a kosher meat restaurant with fresh salads and Israeli taste – Hummus, Tahini, Kebab, etc. 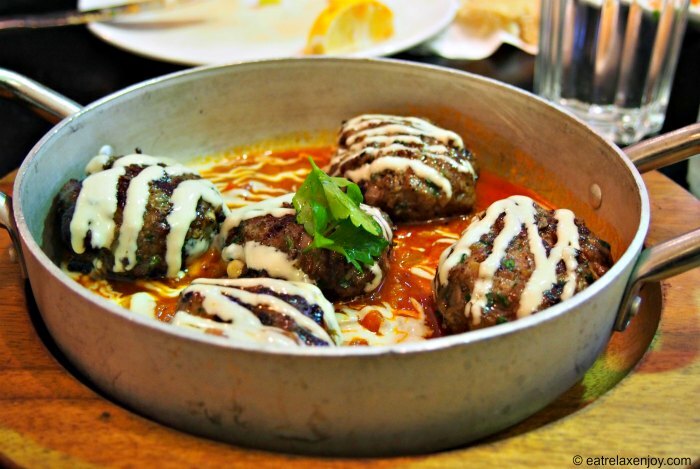 The restaurant is Kosher from Rabbanut, but it serves the highest kosher meat – Mehadrin. DNA offers many special meal menus. We had a full meal with many salads tapas that are freshly made at the restaurants with no preservatives added. I highly recommend the type of meal – with many types of salads. 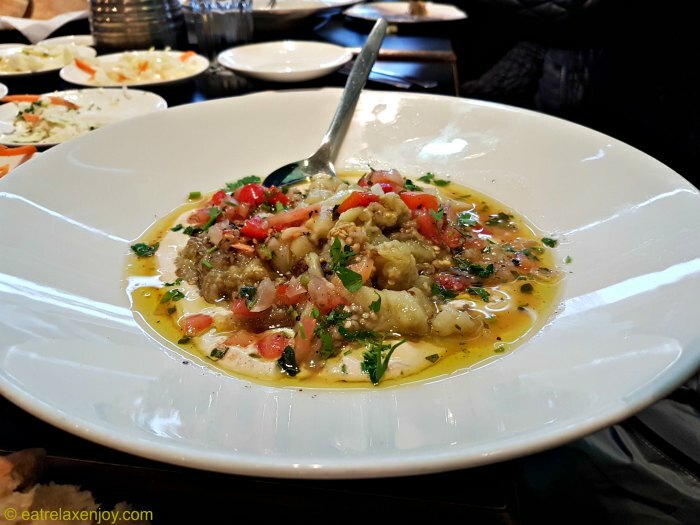 An excellent starter is also the Eggplant – warm roasted eggplant served on tahini with vegetables and herbs- my favorite. While the restaurant serves many types of meat dishes, I especially enjoyed the Kebab, beautifully served and locally seasoned. 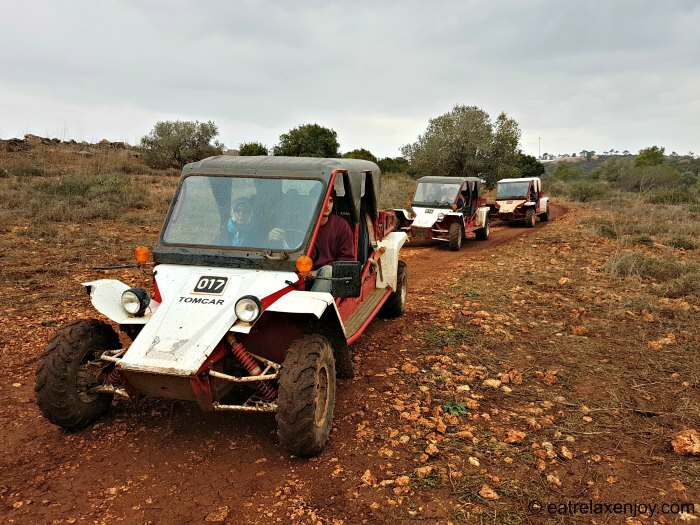 So if you want to explore the Carmel, come also in the winter – there is always something to do in this lovely area with many Mount Carmel Attractions!